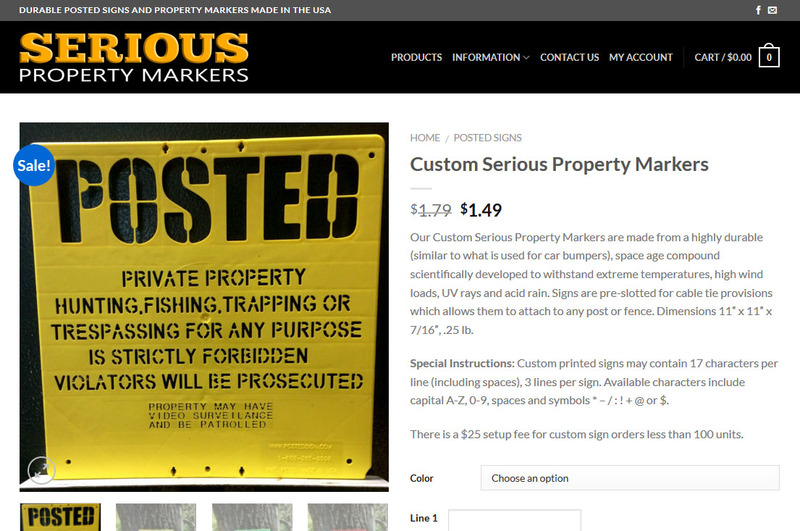 Serious Property Markers manufactures durable, high-quality posted signs to mark private property. 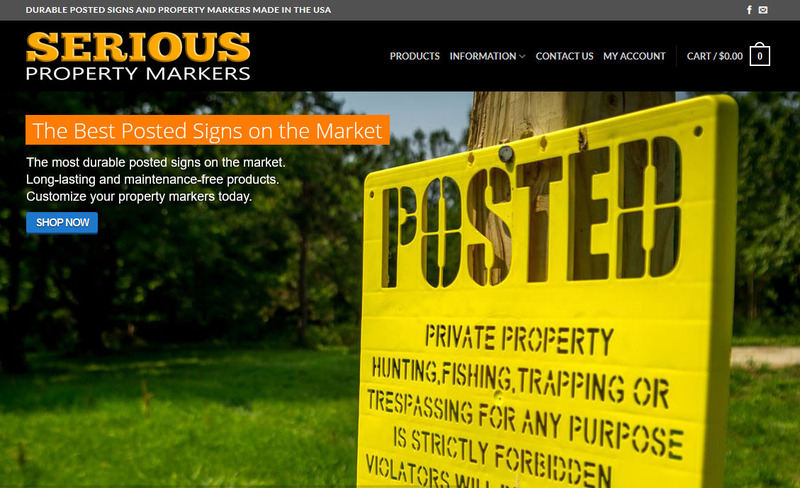 Serious Property Markers collaborated with waveSpawn to develop a custom E-Commerce website. Products can be customized via input data, real-time UPS shipping rates, taxes and discount codes were implemented.